Alimony is one of the most hated, feared, desired, and fought over subjects in the Florida courts. No one word in the domestic relations legal system raises stronger opinions. Ayo and Iken partner – Attorney Alberto Ayo discusses his viewpoint on Florida alimony cases and what it takes to win them. Watch this interested video on Florida alimony law and the best ways to approach a alimony case. Off the cuff opinions, practical advice – directly from experienced attorneys. Hi. This is attorney Howard Iken. And today, we’re going to be interviewing attorney Alberto Ayo in our legal information studio. Mr. Ayo will be talking about alimony in Florida. We’re going to talk about alimony cases and some of your experiences with alimony cases in Florida, and I assume you do a bunch of them? Yes. We see a lot of alimony cases here at Ayo & Iken, and all our attorneys have experience with alimony cases and it’s a subject that often and frequently comes up in many dissolutions. Well, let me ask you this: is an alimony case an angry case? Well, it depends. Generally, the side that may have to pay with alimony is not too happy; sometimes they’re angry, sometimes they’re bitter, sometimes they’re upset. Sometimes there’s infidelity involved, and therefore, when that arises, the payor, or the person paying the alimony, is obviously not going to be too happy to have to make any payments to a spouse that has, in their eyes, betrayed them. Do you prefer doing alimony cases for one side or another; the person getting alimony or the person paying alimony? I don’t have a preference. We, as attorneys here at Ayo & Iken, we defend people who are being asked to pay alimony and we also seek alimony from other parties. It’s important for the attorney to be able to argue both sides of the spectrum. Now hold it right there. “Yes.” What do you prefer, personally; what do you like to do? What do i like to do? Sure. I like to win the case. Okay. Whatever the case, I like to win. Fair enough, and do you experience a lot of wins in alimony cases? We have a lot of success. Let’s go there real quick. What does it take to win in alimony case? What do you need to do? Well, if an attorney is confronted with an alimony case, of course he has to be very knowledgeable, as far he law in concerned, but you also have to have an in depth analysis – an in depth financial analysis – of both parties, of both spouses. Because in the end, it comes down to the ability and the need to pay of each party. So, it’s very important that all of the financial issues are let’s say, developed and they are unraveled. When a client comes in to you and says, “I desperately need alimony. My spouse has left. I don’t have money to pay the bills. What am I going to do and when can I get some alimony?” What do you answer? Well, we tell them, or I tell them, that it’s relief that we’re going to seek, and we’re going to seek it as quickly as possible. What’s quick? How quick can you get that sort of thing? 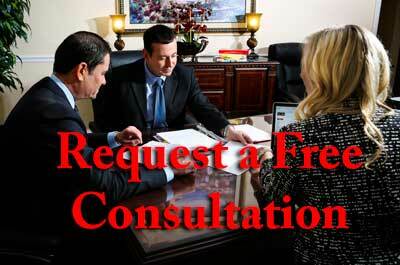 Generally, it’s required to go to mediation before you can seek or before you can receive any type of relief. However, in situations that there are dire needs, we try to accelerate that process. We try to attempt to get temporary relief as soon as possible. Now, temporary relief motion or temporary relief, is in itself, it’s only temporary. Naturally, that’s a stop gap, that’s a band-aid for the individual that is to receive alimony, for the individual to be able to survive or to exist or subsist during dependency of the divorce. So, we’re looking at– a temporary relief hearing, probably can be achieved probably three, four, maybe five months after the initiation of the divorce. Keep in mind that it’s important, in many cases, mediation has to take place before you get any temporary relief. Now, some people in the state of Florida have heard attempts to pass alimony laws, in something called Alimony Reform. At this moment and time, is the concept of an alimony case still viable? Is it still a real claim in the state of Florida? Absolutely. To begin with, the new alimony laws has not passed and there is a question whether it’s even going to come up again or not. At this point, the alimony laws in Florida exist and alimony does exist, and it’s a viable option for a spouse who needs support. Could you boil things down just a bit, and if you could just give a short list of tips of how someone can improve their alimony case. Well, it’s very important that the person that’s interested in receiving alimony, gathers as much information as possible, because keep in mind, the ability of the payor, or the spouse that has to pay alimony, is paramount. It’s very important for the court to be able to understand and to be able to uncover whether a spouse has the ability to pay. Many times, we have situations where a spouse may have the ability to pay, but they either hide assets or they hide their income. Now hiding, that’s another issue. As I mentioned a little bit earlier, it’s very important to be able to analyze the financial situation, because many times, it is a puzzle. It’s a puzzle that has to be put together, and it’s a puzzle that needs to be put together in order to maximize an alimony case. In addition, I would like to add: If you’re a spouse that is possibly contemplating the need for alimony, it’s always very important to be aware of the financial condition of your marriage. Bank statements, it’s important to be aware of the money that’s going in and out of the marital accounts. Those seem like some very good tips, and I hope people can take that and use it in their alimony cases. Thank you very much for spending a few minutes with me.